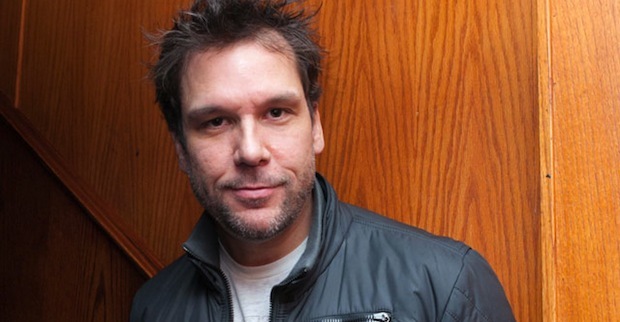 Comedian Dane Cook – the once prodigal son of Boston comedy – may be feeling a little foolish today, or at least he should be. As scores of musical legends gathered in Boston last night for the One Fund benefit concert, it seems the only thing being talked about the day after is the somewhat self-absorbed move Cook pulled on essentially the whole of the city. While heavyweight acts such as Aerosmith, Jimmy Buffett, and James Taylor (to name a few) took to the stage to perform for victims of the Boston Marathon bombings and their families and friends, Cook took full advantage of his allotted stage time to test out 5-7 minutes of new material before he takes it on tour. Sounds like an awesome opportunity for Cook fans in the city that got him started, right? Yes, that’s correct: on a night when some of the biggest names in entertainment have come together to support a city after an unbelievably horrible tragedy – to celebrate the victims and the city – Dane Cook managed to make it about himself. While some can understand Cook’s desire to keep his new material under wraps, one can’t help but wonder just why Cook chose that particular event as his medium for testing out jokes. Comedian Lenny Clarke, who also shared the stage at last night’s benefit, called in to WEEI following the show to express his outrage over Cook’s decision to alienate Boston fans. There were also rumors that amongst the new material Cook tested out was a joke he had written about the Aurora, Colorado theater shooting (one that did not end well for the comedian when he tried the joke last year in Los Angeles), which I’m sure was a welcome topic for a benefit crowd. One has to wonder if it was worth it in the end for Dane Cook to anger throngs of fans in his hometown just to see if he’s still got it with his new stuff. It seems these days that if you’re hearing about Dane Cook, it’s probably not for the right reasons. Maybe it’s time to dive back into that movie career and put the microphone down soon? He can try out his `new material’ any other time of the year.There were legendary acts there who gave of their time and talent without restrictions or demands. The live feed was meant for the entire area. So that EVERYONE could enjoy the event-including victims and their families unable to attend because they are not well enough to get out. Under the `who cares if he did it logic’ what if everyone there pulled that crap? Or demanded to be paid or decided their needs were more important than that of the fundraiser? I guess no show and screw the families.Cook behaved like a jerk. Cry me a river Angela!